Transworld Group of companies is a shipping agency, established in 1977 and originally located in Bombay, with offices are spread across the world in UAE, United States, Saudi Arabia, Oman, Qatar, Kuwait, Pakistan, Sri Lanka, Hong Kong, Singapore, Pakistan and in 28 cities in India. 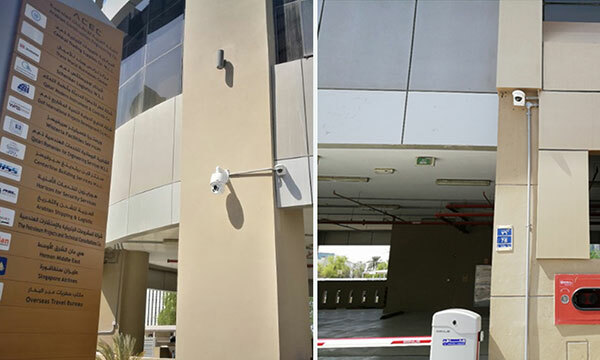 In this case, the operator urgently wanted to have video surveillance covering the key areas, realizing access control and perimeter control. Uniview provided 150 cameras and 3 NVR516, monitors, and switches. The solution can perfectly protect every corner of the building, and most key areas can be monitored on multiple screens at the same time. No matter what happens, the security staff can take immediate action. Decoding Capability: The NVR516 is designed for projects which need maximum up to 128 channels of connection. An additional 12 extra HDMI channels are available for the decoding card. In other words, the NVR516 can decode 112-ch 1080P video with the 7HD monitor. Strong Storage: NVR516 has 16 SATA slots. What’s more, it can add two disk enclosures, so the installed HDD quantity can be up to 48 in total, and each HDD capacity can support 10TB. System Stability: NVR516 is a super NVR which has powerful hardware and software performance. In order to protect data security, we adopted failover technology on NVR516. It also can support most types of RAID and Hot-swap which is very reliable for projects highly requiring safety. Besides of commercial buildings, Uniview is covering more industries including world-class hotels, shopping malls, city surveillance, banks, hospitals, educations, factories etc. Uniview is dedicated to provide high quality products for global customers.